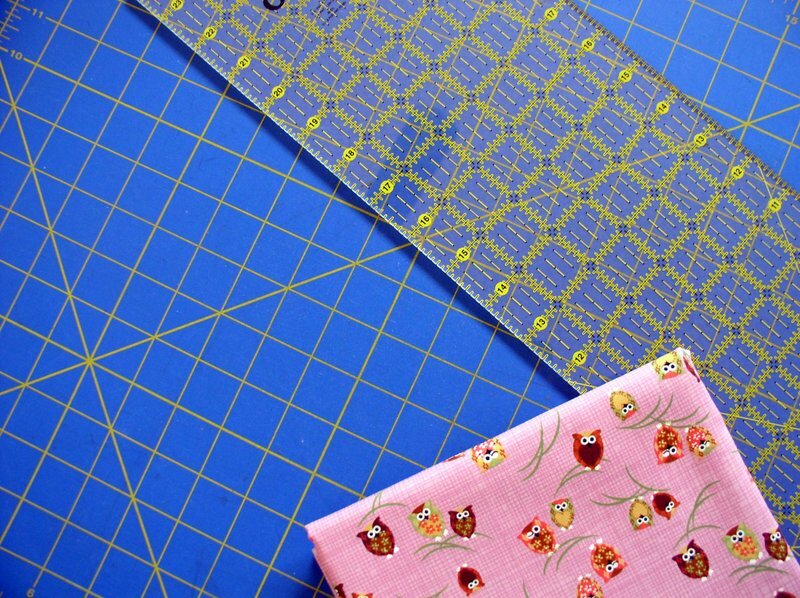 Oh, I'm just cranking out the finished projects these days! Happy, happy me. I'm meeting some self-imposed deadlines, and getting some things in the mail that should have been sent out weeks (if not months) ago. 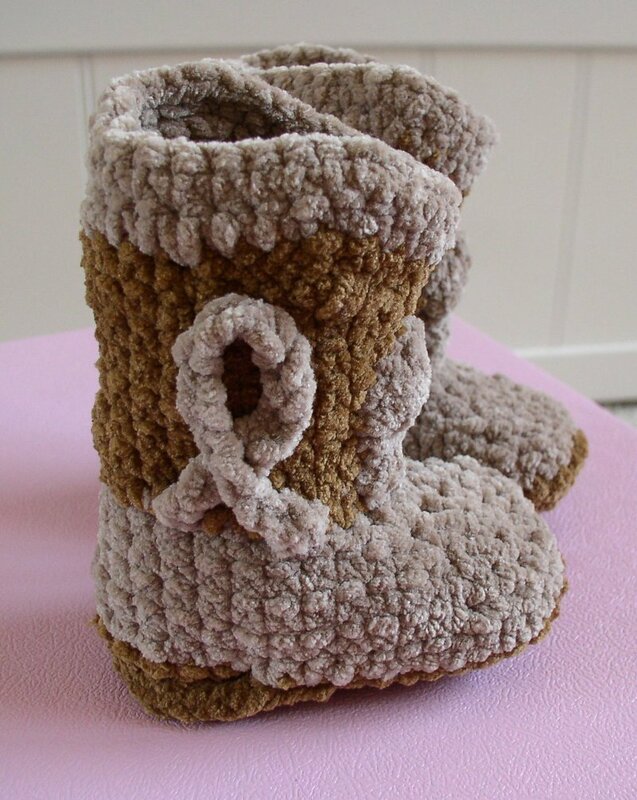 Here's a close-up of the booties that are part of a surprise package. I couldn't quite figure out a pattern I found online, so I just made it up and winged it. I think they turned out quite nicely, though the newborn is now two months old, and it's summer and those things look quite... um... toasty, shall we say, made out of a suede-like yarn. 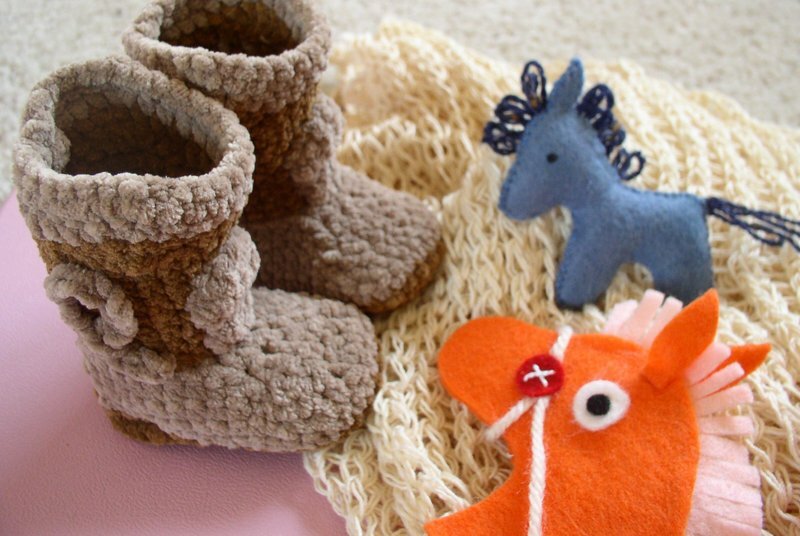 Oh well, they'll look cute on a doll, too, I suppose. I have more finished items to show next time, I'm on a roll! I tried to resist, but I had to sign up for the Tea Towel Swap, and here's what I sent off to my partner last week. 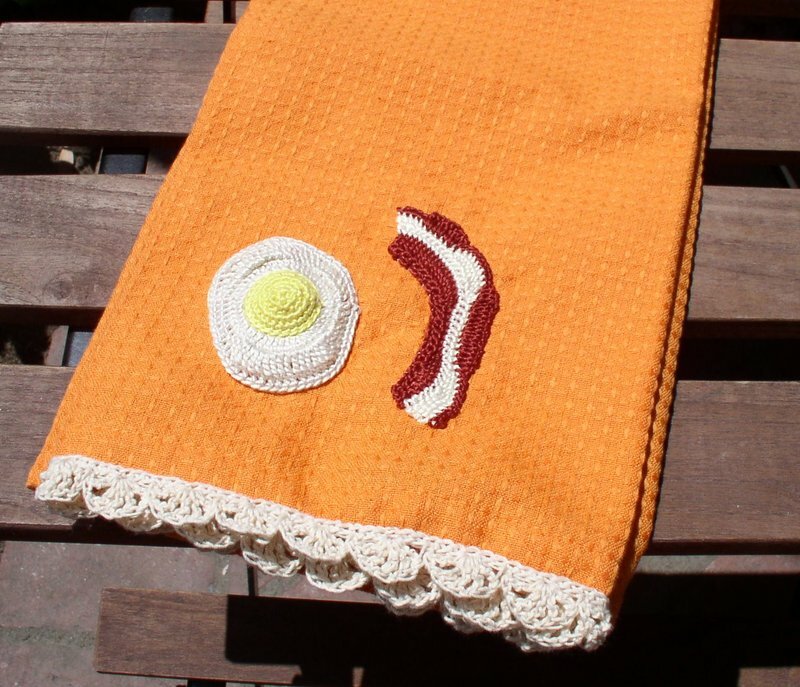 I crocheted the bacon and eggs with embroidery floss, which I love because of all the colors. I'm always able to find just the exact shade I need, whatever the project. And cross stitch was my first crafting love when I was like 7, so I have a special fondness for DMC. I used to have at least one skein of each color, but now I think they've expanded their line, and I haven't caught up yet. 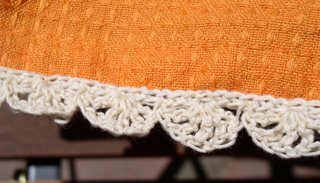 The edging was crocheted with #10 thread, and everything was done with a #7 steel crochet hook (I think, it was a pretty small hook). I crocheted the edging separately, and then hand-sewed it on. Hope she likes it! *Diner slang for bacon and eggs (a deliberate mispronunciation of bacon). My constant companion this week, how appropriate that she fits right in.